Filter Holdings offers a wide selection of versatile, cost effective filtration media with standard finishes including singed to remove surface fibers for improved release, glazed for a smooth finish, and a singe/glaze combination for a mirror finish. Our standard finishes for felted fabric media offer considerable value with sustained filter bag service life and filtration reliability. We also offer innovative felted fabric surface treatments for complex filration requirements and applications including SCR and MaxClad II surface treatments, as well as our Unipore expanded PTFE surface treatment. Felted filter fabric options include polyester, polypropylene, aramids, acrylic, polymide P-84®, Nomex®, and PPS. 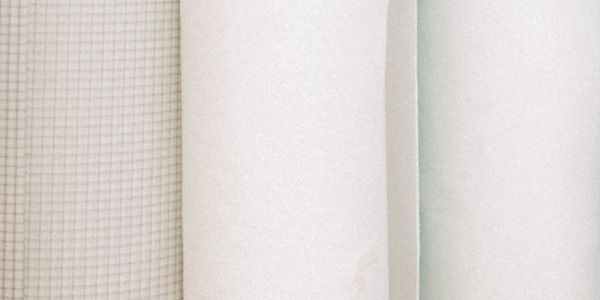 To match filter fabric options with specific applications or characteristics, please refer to our filter fabric types and characteristics, chemical resistance and maximum operating temperature charts. High quality felted and woven filter fabrics.